During the disco drenched year of 1978, 62nd Street in Bay Ridge, Brooklyn, was home to L’Amour, a small, unassuming discothéque thriving on a local dance crowd. “Rock Nights” on Thursdays were first brushed off as a bad joke. But in less than a year, blindsided by scores of disgruntled heavy metal misfits, the punch-line of that bad joke swelled into a quarter-century-long tsunami of hell-raising mayhem that turned a faceless disco into the world’s most famous heavy metal mecca. L’Amour: Rock Capital of B’klyn is a large format book jammed with over 1,000 full-color photographs, ticket stubs, and memorabilia representing the rich music history of the Brooklyn venue. Hundreds of full-color performance photos of the bands that hit the L’Amour stage are featured prominently in the book, as well as interviews with many of the musicians. Venue staff, club regulars, and show attendees contribute slices of club life. L’Amour: Rock Capital of B’klyn tells the story in stunning images and words of the famous heavy metal venue and its important contributions to the scene. If you are a heavy metal fan, or just a music history buff in general, this book is a must have. Born and raised in Brooklyn, NY, DJ Alex Kayne started out as a mobile DJ spinning dance music in the mid ’70s. His club DJ career began when he beat a multitude of other DJs, winning a turntablist “Battle of the DJs” mixing contest at the Night Gallery Discothèque in Brooklyn. Word on the street about the winner of this battle spread quickly and Kayne began DJ-ing in several local clubs. Over the years he has worked at various venues large and small in and around the New York City area. He is considered New York City’s first ever hard rock/heavy metal club DJ. Kayne came to work at the world famous Heavy Metal Venue L’Amour in 1979 and his residency at L’Amour lasted on and off until the venue closed. He is the venue’s original metal DJ and its longest resident DJ. He is widely credited as the first club DJ in New York to spin Metallica, Biohazard, Y&T, The Rods, TNT, Queensryche, Anthrax, Megadeth, Manowar, White Lion, Helix, Talas, Motorhead, Metal Church, Tygers of Pan Tang, and Slayer, among many others, breaking and expanding their notoriety on the east coast. With a career spanning more than 35 years, including live performances at over 65 venues performing on the same bill with Metallica, Megadeth, Slayer, Anthrax, Iron Maiden, Rob Halford, Anvil, Raven, Twisted Sister, Biohazard, Type O Negative, Lacuna Coil, Kiss, Ace Frehley, Exodus, Kix, Queensryche, Warrant, Bullet Boys, Overkill, Ratt, Warrior Soul, Life of Agony, Venom, Manowar, White Lion, Motorhead, and hundreds more, DJ Alex Kayne is still actively working the Eastern Seaboard club scene where he is highly regarded and respected as a legend among rock and heavy metal DJs. 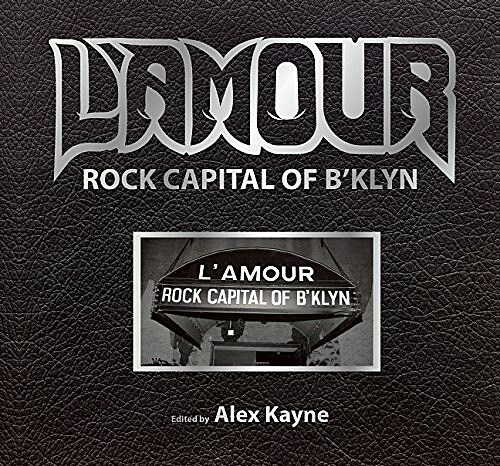 L’Amour: Rock Capital of Brooklyn is out December 15.